For a small sample of leaders, there is no such thing as “turning around a sales team” because it is unnecessary. I call these precious few, “Get-it” CEOs and sales leaders. What makes a Get-it CEO or Sales Leader? Get-its PROACTIVELY and CONTINUOUSLY seek ways to improve their sales talent, sales systems, and culture, thereby making the need to turn around their sales team unnecessary. Get-its are seekers who constantly seek knowledge to improve. Get-its hate losing more than they love winning. They are paranoid about losing to competitors. They fully realize that a smaller, faster, more nimble business model is yet to be created in a garage somewhere. Get-its realize their own greatest hindrance is their very own mindset. They are aware of their bias potential – particularly confirmation bias. Get-its seek outside counsel. They are fully aware that they do not have all of the answers. Get-its burn their own boats by proactively replacing their processes with incrementally-better processes, and low performers with high potentials. Get-its model the way by doing the work to succeed and expect their teams to do theirs. They are aware that the journey to greatness is never finished. Get-its focus on doing whatever it takes to win. This requires a continuously-evolving sales strategy and continuous feedback loop that requires measurement, refinement, and execution. Sales Talent. The quality of sales talent from a sales hiring scorecard. Does the sales team collectively possess the experience, education, background and sales personality necessary to perform well? Sales Systems. The quality of sales systems such as CRM adoption, scripting, centralized proposal generation, and sales strategy. The relationship between the right sales activities leading to the right sales results. Recognize and repair the signs proactive improvement is necessary. The evidence of sacred cows in sales selection, sales systems and / or sales culture. Lack of accountability for activity and results. Inability to quantify sales talent. Knowing the price of everything and the value of nothing. 1. The evidence of sacred cows in sales selection, sales systems and / or sales culture. human bias. Most companies have a sales recruiting god or goddess who was a previously-successful sales manager, recruiter, or HR person. This seemingly untouchable human being has been granted some miraculous, innate ability to select sales talent that cannot be replicated, quantified, nor held accountable. When I hear the words, “I know good sales talent when I see it,” I know I am dealing with a sales hiring god or goddess. Show me a company with a sales hiring / recruiting god or goddess and I will show you a company that is undervalued due to missed sales. Another sacred cow is the lack of accountability for sales team members taking the right actions that lead to sales. Few companies identify and hold salespeople accountable for properly-completing activities like CRM, scripting, follow-up, and prospecting. These are the sacred cows of sales systems. Show me a company with sacred cow sales systems and I will show you a company that is undervalued due to missed sales. The objective of every for-profit business is to maximize shareholder value. Yet, few are willing to adopt a full accountability loop that directly connects sales talent with sales activities with sales results. A lack of accountability in sales culture directly translates into no chance of consistently-maximizing sales. This is a travesty to shareholders. 2. Lack of continuous improvement. The mindset to continuously improve. Measuring everything that can be measured. All problems start at the head and all problems walk on two feet. Get-it CEOs and sales leaders are always seeking ways to improve. It is hard-coded into their mindsets and DNA. 3. Lack of accountability for activity and results. Sales teams that require a reactive turnaround often lack accountability for activity and results. Get-it CEOs and sales leaders know that without accountability for activity, results are based on the discretion of each salesperson and luck. Luck is impossible to replicate. Get-it CEOs and sales leaders study success and failure alike. The key to level-jumping sales performance is to measure what one wants improved and everything that impacts it, pro or con. Autopsy success and failure alike to identify which activities lead to the highest consistent achievement of results. Unfortunately, many soft CEOs and sales leaders are more concerned about the consequences of rocking the sales boat and keeping their personal relationships than they are about improving sales results. 4. Inability to quantify sales talent. Show me a CEO and sales leadership team that cannot quantify the relationship between sales personality / sales hiring scorecard elements and actual sales performance, and I will show you a missed opportunity to optimize sales performance. 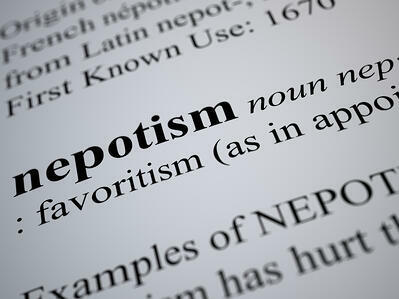 Nepotism and favoritism are morale cancer to every sales team, especially Sales Wolves. The best-of-the-best salespeople are driven to achieve results. They expect fairness and accountability. They want to know the rules and the rewards. This relationship must be direct and predictable. When substandard salespeople are rewarded because of who they know or who they are related to / friends with, Sales Wolves lose their mojo and flee. Get-its recognize this, and squash any pretense of nepotism or favoritism before it kills their sales teams. 6. Lack of personal accountability. Few human beings model personal accountability well. Yet personal accountability holds the key to shaping our futures. The more time lost placing blame, playing the victim, and delaying action translates into missed opportunity to take action leading to results. Sales performance is rooted in taking action. 7. Knowing the price of everything and the value of nothing. The best CEOs and sales leaders understand and sell value. Price is what is paid. Value is what is received. Few CEOs and sales leaders get value. Most get price. 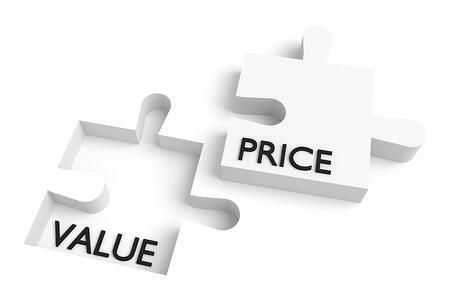 It is nearly impossible to not understand value yet be able to lead a sales team to deliver value to Customers. No CEO or sales leader possesses the knowledge and horsepower to go it alone. The old saying, “What got you here will not get you there” applies. It is rare that CEOs and their sales leadership can scale a sales team through every stage of sales growth without outside counsel. Many PhDs from the School of Hard Knocks are handed out to CEOs and sales leadership who attempt to go it alone. Get-it CEOs and sales leaders immerse themselves in sales thought leadership that covers everything from selection to management to tactics and scripting. 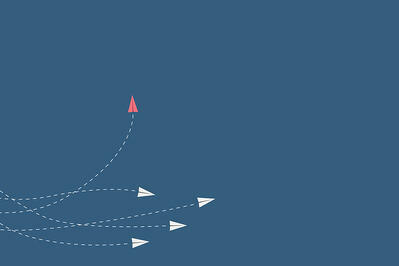 Get-it CEOs and sales leaders realize the race is never finished and never quite won. Get-it CEOs and sales leaders bring in outside expertise on a regular basis to ensure they are on top of their game. Get-it CEOs and sales leaders never settle.